Wool approaches the finish line at Boston Marathon as four first-time runners test and try nature’s miracle fibre. 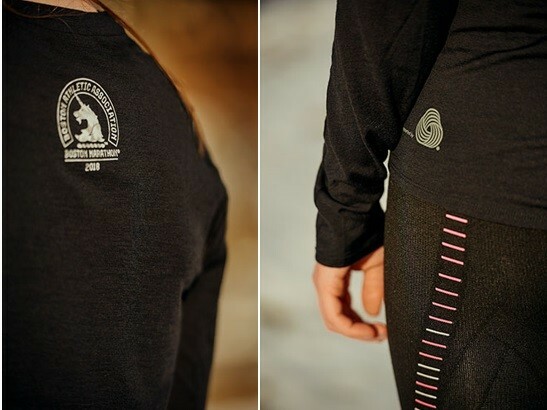 From its odour resistance and innate breathability to its moisture-wicking and natural temperature control properties, the benefits of wool for your workout have been well documented in recent years. And now, wool is being put to the ultimate test, as The Woolmark Company, adidas and the Boston Athletic Association come together with an exclusive Merino wool long-sleeved tee, to be given to top 20 finishers per age group at the upcoming Boston Marathon as part of a larger partnership exploring innovative new product applications within the performance market. As The Woolmark Company’s first time at the Boston Marathon, we brought together four first-time runners of the iconic race to track their preparation routines and discover firsthand their experience of wearing head-to-toe wool both pre- and post-race. As the snow began to melt in the Massachusetts capital earlier this year, we followed the locals as they warmed up for the ultimate physical, mental and emotional battle of completing the marathon, with its requisite qualifying times and fundraising minimums, not to mention training through a brutal winter that saw the American north-east blanketed by snow. In pieces of wool and wool-blend performance apparel from adidas, among others, the four runners have been given a competitive edge in their pre-race training, embracing the fibre’s many benefits. Designed to protect you from the great outdoors, Merino wool activewear offers year-round protection, no matter the level of exercise intensity. The unique benefits of Merino wool sportswear allow it to act like a second skin, helping athletes perform at their peak, from sea-level to mountain top. In contrast to synthetics, Merino wool can absorb moisture vapour which means less sweat on your body. Merino wool even absorbs and locks away the odour molecules from sweat, which are only released upon washing. Merino wool is also an active fibre that reacts to changes in body temperature. Its unique crimp structure helps you stay warm when the weather is cold, and cool when the weather is hot. And as a natural fibre, evolved over thousands of years to protect sheep against the elements, Merino wool absorbs UV radiation, making it a good choice for a wide range of outdoor activities. “I had never thought of wearing wool as running gear, [but] I have been very impressed by how lightweight yet durable the clothes feel, and there does seem to be a resistance to smell which most of my other synthetic running gear fails to hide,” says Dusseldorp.